Do not order your kit until you have proof of filing of the entity (the formal State document that establishes that the entity is in existence on the State’s records). Too many organizers had to redo seals and certificates because of State rejection of the name or other contents in the filing documents or the filing was delayed beyond the New Year. If you are pressed for time because of a closing or other event, keep in mind that we ship kits the same or next day after it is ordered. The year (not date) of incorporation. The name of the State of incorporation. Note: If the corporation is authorized to issue more than one class of shares, go to How to Order Multiple Class certificates. There are two lines for the titles of the officers that will sign the certificates. The titles are printed below the signature lines. Generally, the titles of the officers would be President and Secretary (or Treasurer) expressed as “Secretary-Treasurer.” Other officers, however, may be authorized to sign. Loose certificates and stubs should be requested if you use our Shareprinter Template to issue the certificates. Certificates removed from bound books are 8″ wide and require special care when printed. Loose certificates are 8 ½” wide. 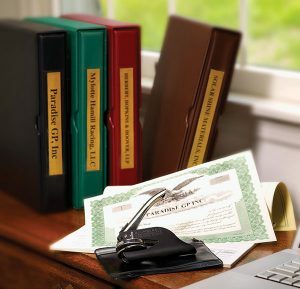 Note: bound certificates help prevent fraud. 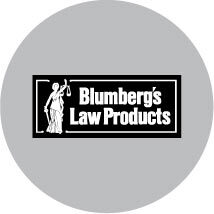 When you place your kit order online at Blumberg.com, our order blank will walk you through the process. Next PostNext What is a fictitious name (a DBA)?